Care Alert Scores are a set of new member fields that summarize compliance with quality of care standards. These scores are calculated using the logic and algorithms of the quality metrics. Higher scores (max = 100) indicate greater future risk based on members' non-compliance with quality standards. Lower scores (min = 0) indicate that members are more compliant with those standards, thus minimizing future risk. 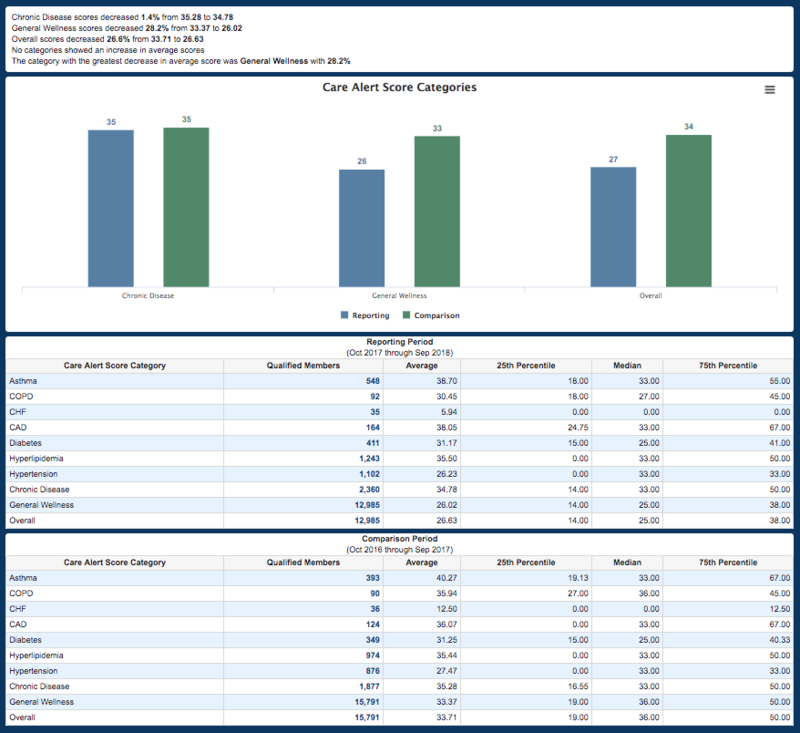 These scores are available in Member Search, Member Months and are summarized in the new Care Alert Summary report under risk reporting. 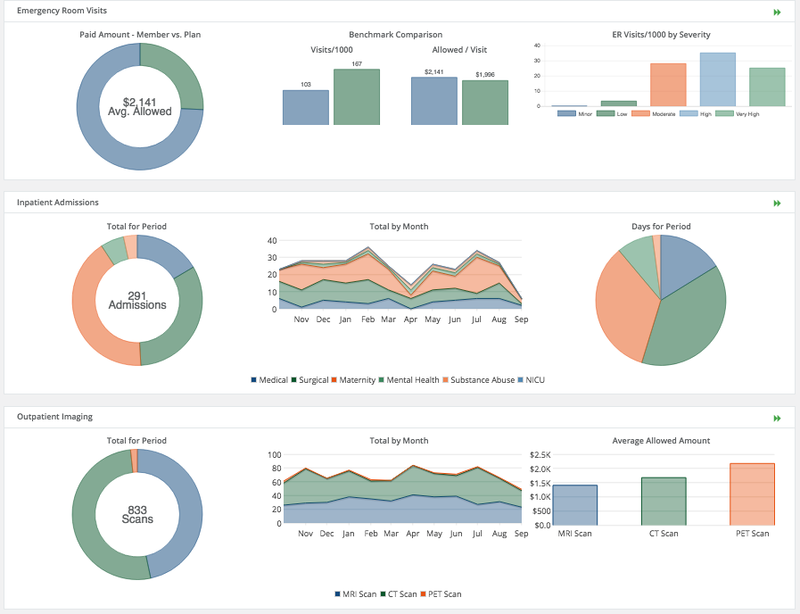 In addition to the new Care Alert Scores, the graphs and charts in Plan Analytics and Executive Analytics are now responsive to client branding schemes. The chart colors are consistent across all the production applications as well as the printed reports. Client users with the proper administrative roles can edit their chart colors via profile settings from within the application. These administrative users can also create custom branding themes for Word / PDF exports and associate them with group-specific branding in their application. When report exports run at the group level, they will use the group’s custom theme rather than the application default. Looking ahead: Deerwalk is planning on adding two new features in the upcoming version 8.2 release. The SumIt feature is getting a fresh face-lift that will transform it into Summarize - an easy-to-use custom report writer. These custom reports will be compatible with bundling and scheduling. Visualizations to be added down the road. Deerwalk is integrating data to provide clients with access to Provider Quality Scores. Plan Analytics 8.2 will release a data search module that clients can use to view and query this data. The Provider Quality Scores integration will be a buy-up from standard Plan Analytics. Customers seeking more information on Release 8.1 should contact their account managers.